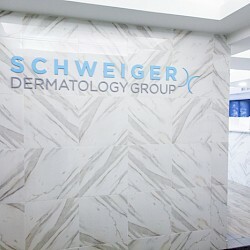 Susan Conaty is a certified physician assistant practicing at Schweiger Dermatology Group’s Smithtown office. Susan received her bachelor of science degree in biology from Bucknell University and completed the physician assistant program at the United States Public Hospital Program in Staten Island, New York. She is a Fellow of the American Academy of Physician Assistants as well as the Society of Dermatology Physician Assistants. Susan has specialized in all aspects of general dermatology for the last ten years. She was previously employed in the internal medicine department at the State University Hospital at Stony Brook, where she obtained invaluable experience in the allergy and immunology department as well as the Lyme’s Disease Center.